Sometimes, the driver of the webcam may be lost even if the webcam is in use. For Intex IT-305WC Night Vision webcam users, this situation is worrying but there is nothing to be alarmed about. This issue can be solved easily by downloading the driver for the Intex IT-305WC Night Vision webcam . From the official website of the manufacturer, the driver can be installed by entering the serial or model number of the device. If the model number of the device is not known, then the help of a tool like Everest will allow the identification of hardware devices and drivers. I have an Intex IT-305WC Night Vision webcam and lost the driver disc. Click here to download the Intex IT-305WC Night Vision driver. Many users on the forum sent posts saying ''my drivers are missing, where can I find them?". The logical step is to search for your drivers on the manufacturer's official support website. This can be done by entering the model or the serial number of your device. Published by aakai1056. Latest update on June 29, 2012 at 12:06 PM by Jean-François Pillou. 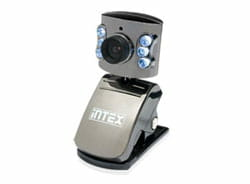 This document, titled "Intex IT-305WC Webcam driver download," is available under the Creative Commons license. Any copy, reuse, or modification of the content should be sufficiently credited to CCM (https://ccm.net/).